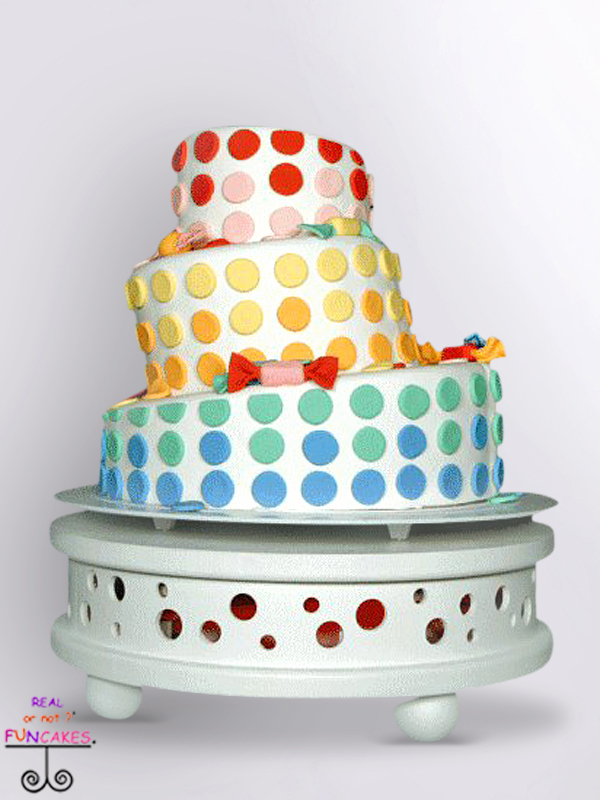 The Lindsey Cake Stand is a custom design cake stand by FunCakes. Hand crafted from wood with a center area that has cut out random circles. This stand comes equipped with ECMC so that it lights up. The lights can be set with a series of 7 colors rotating or be set at one solid color. Four ball feet elevate the stand.